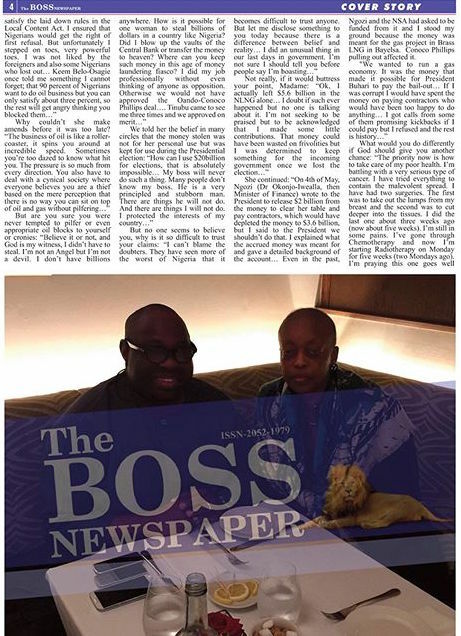 Nigeria’s former Minister of Petroleum Resources Diezani Alison-Maduekeemerged a few weeks ago in Ovation Magazine publisher Dele Momodu‘s new publication, The Boss Newspaper. 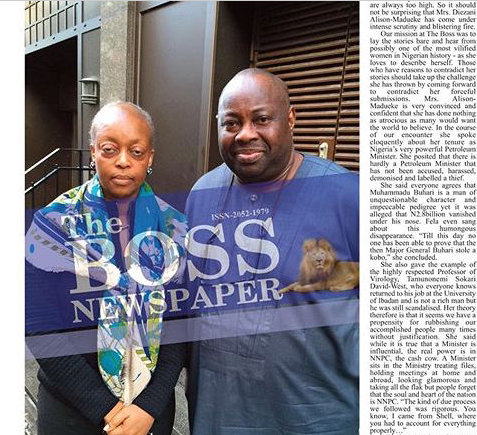 Diezani insisted her sister did not have an intimate relationship with former President Goodluck Jonathan and more. 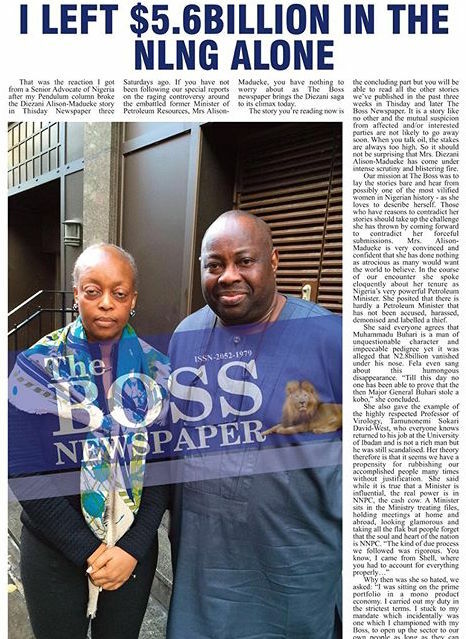 In the concluding part, Dele Momodu shares a reader confession that because of the first part of the interview, he “began to empathise” and “see beyond (his) contempt” for the former minister, due to her illness. 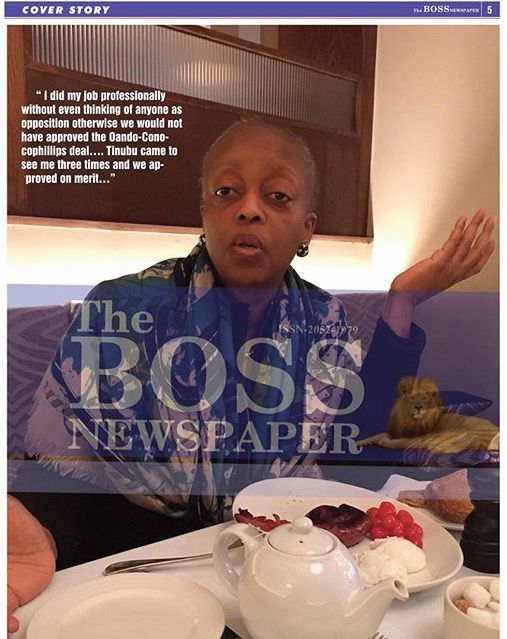 Diezani calls herself “one of the most vilified women in Nigeria’s history” and insists she followed due process – “I carried out my duty in the strictest terms”, but believes she “stepped on toes, very powerful toes” by doing so. 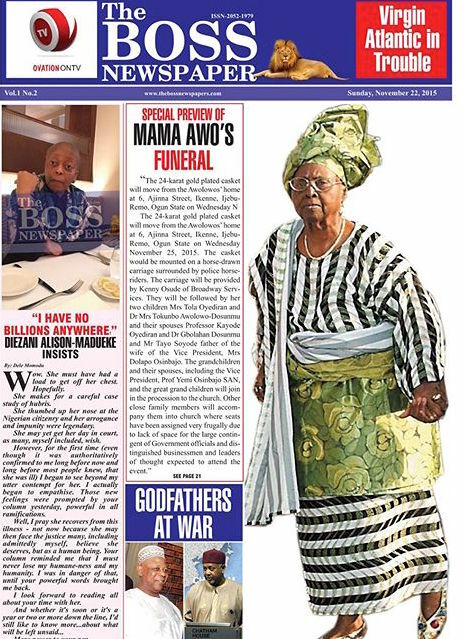 You can read more by enlarging the photos.